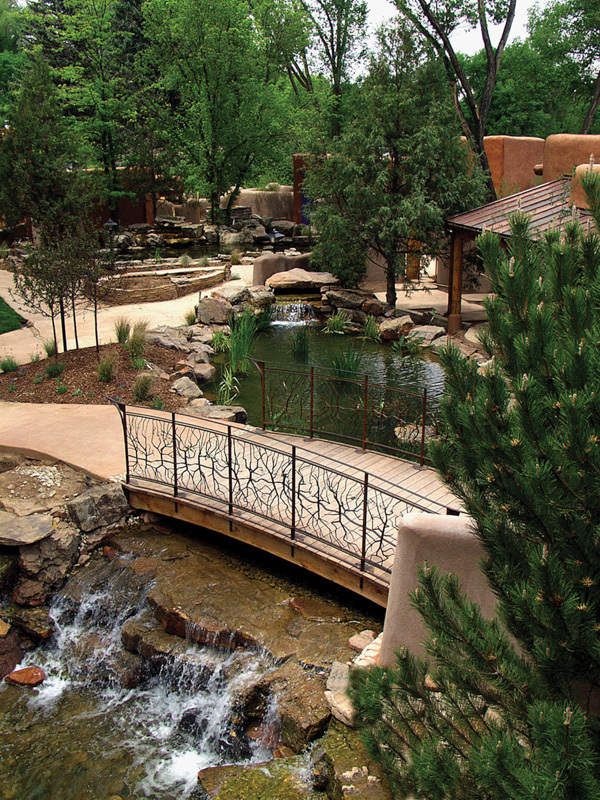 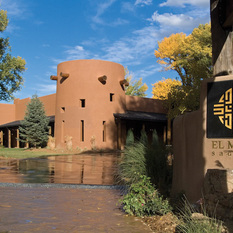 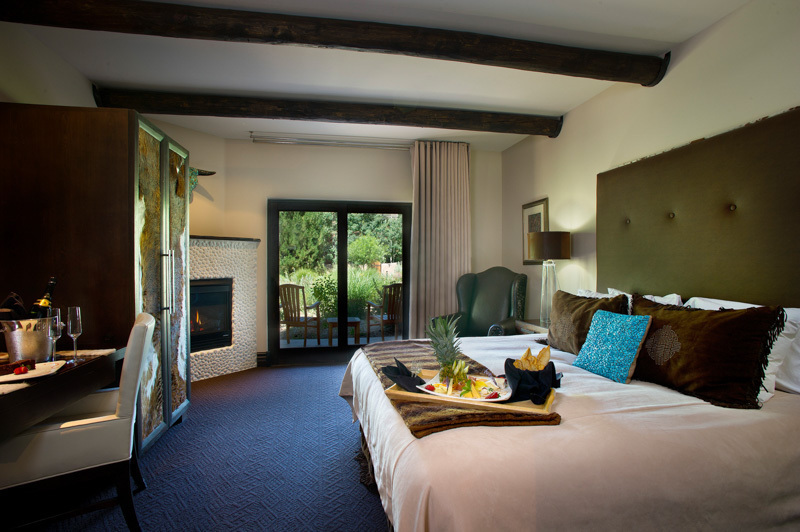 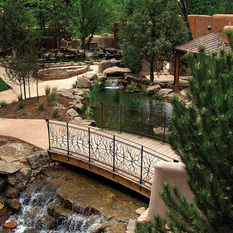 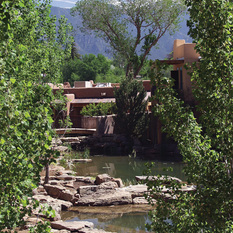 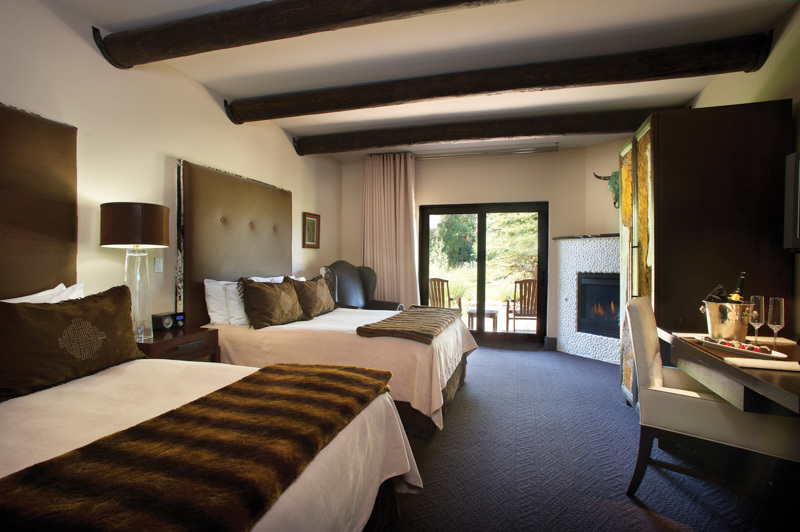 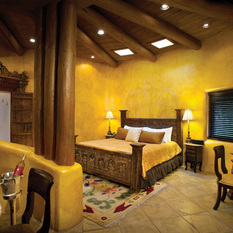 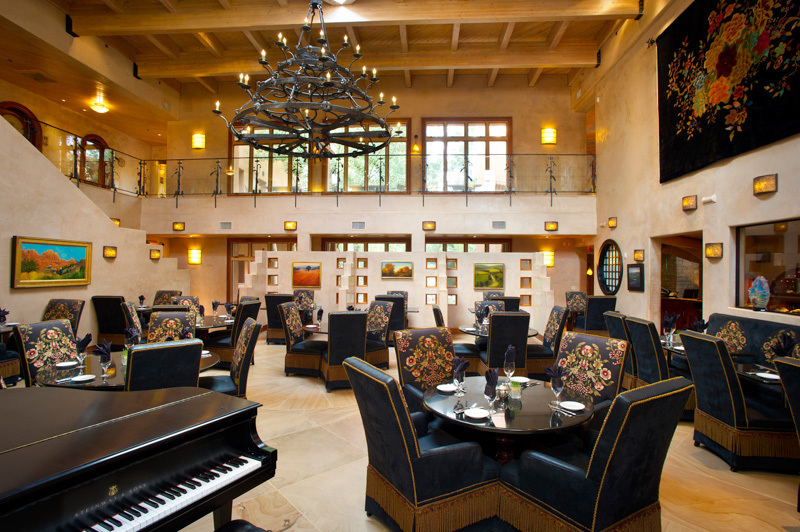 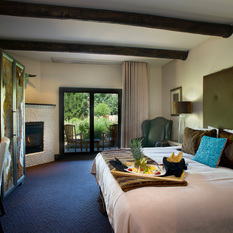 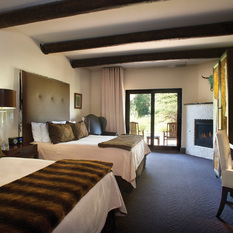 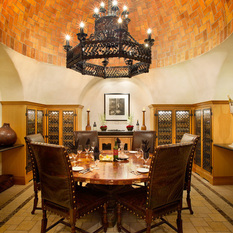 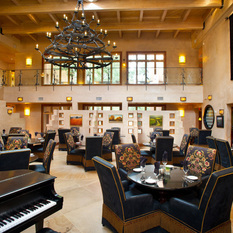 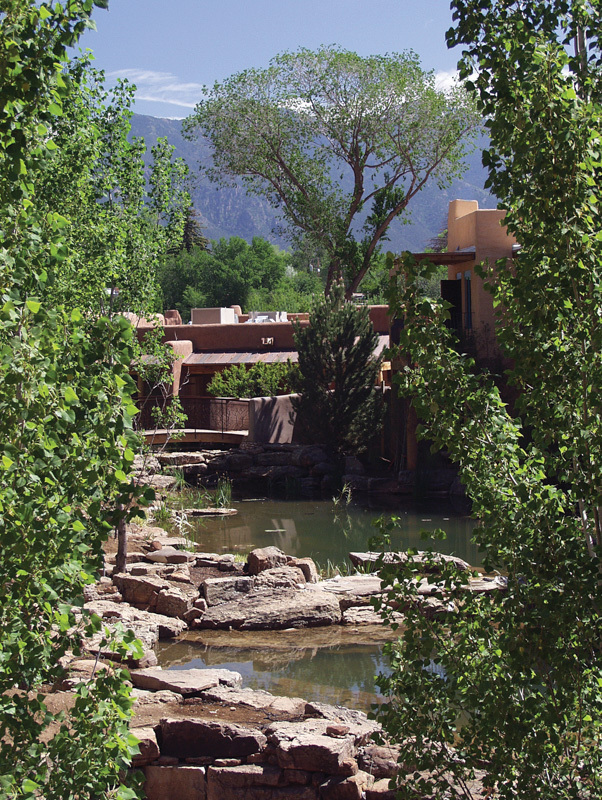 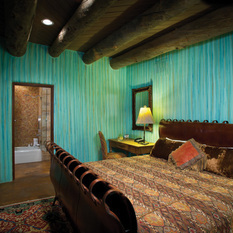 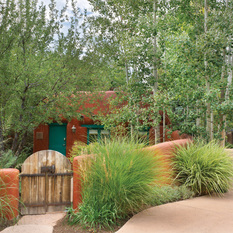 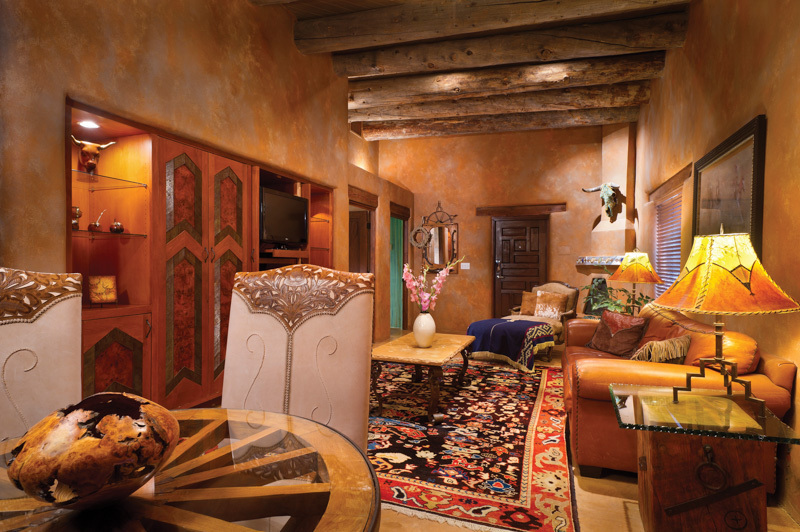 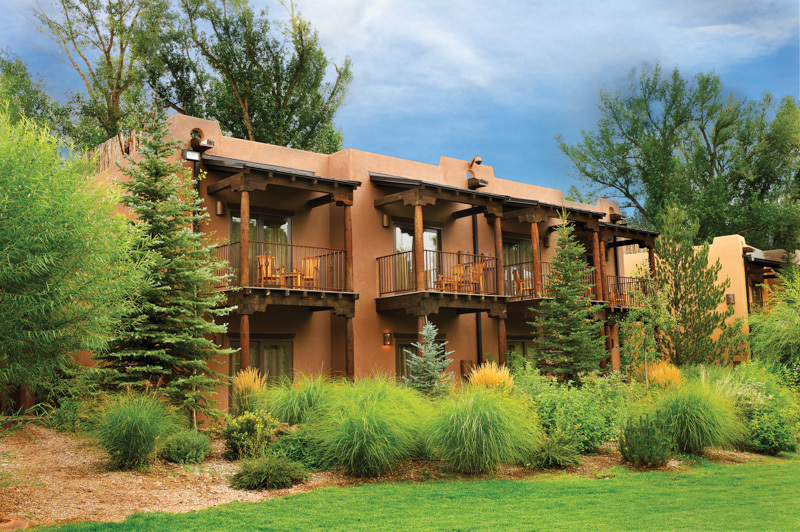 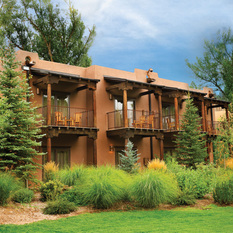 Just three blocks from Taos Plaza, El Monte Sagrado Living Resort and Spa offers a secluded yet indulgent sanctuary. 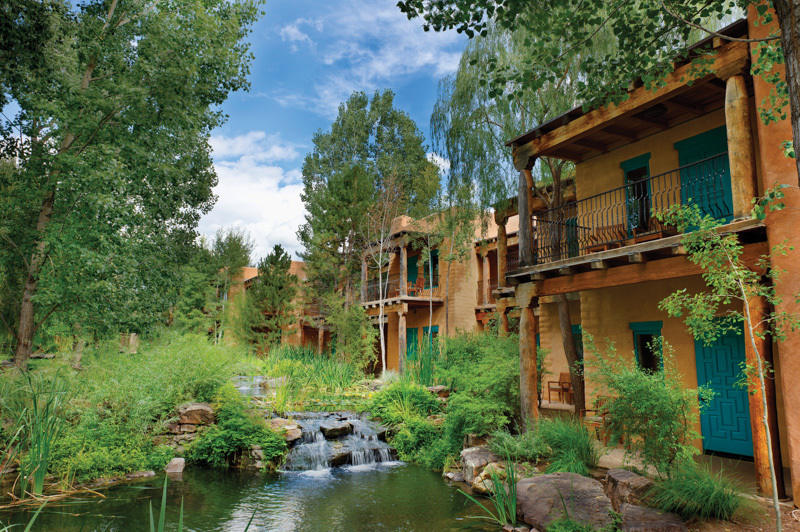 In harmonious coexistence with its natural setting, El Monte Sagrado is surrounded by towering mountains and rustic high desert, sunlit, fish-filled streams, tropical flora and the sounds of calming waterfalls. 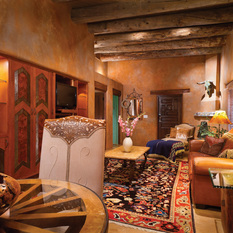 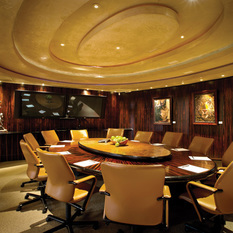 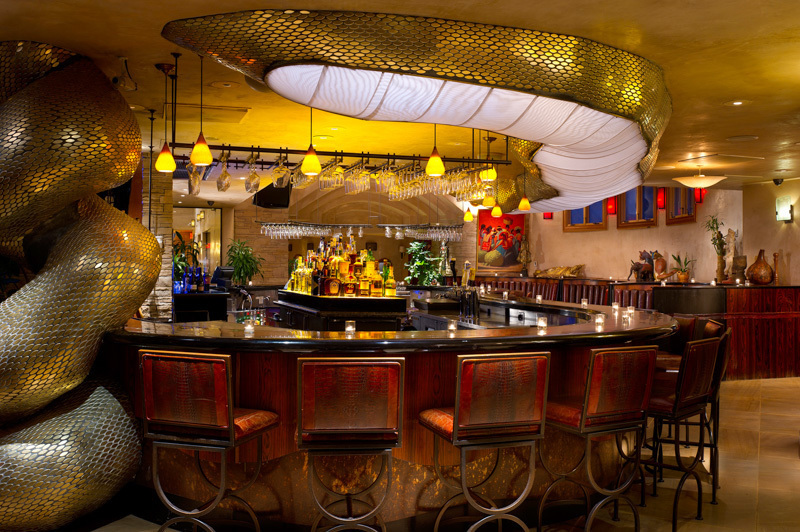 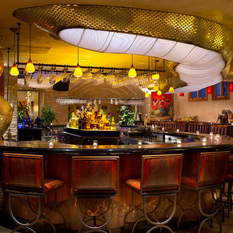 Guests are inspired by the nurturing ambiance and mystique of the resort. 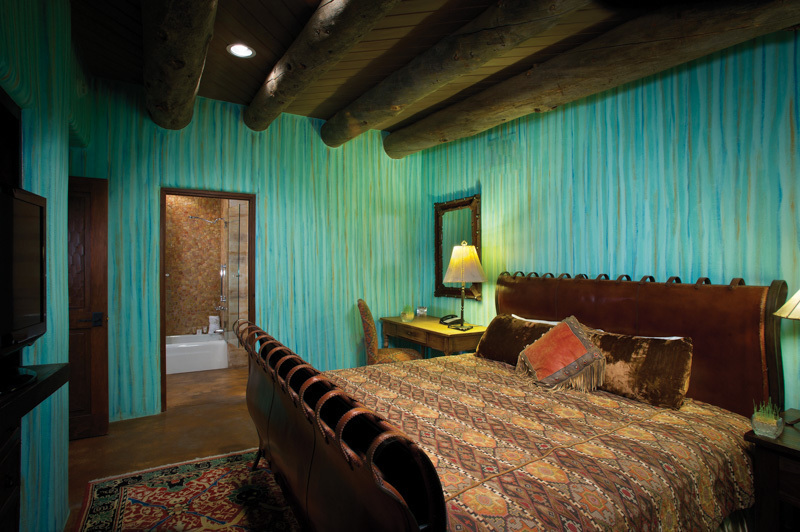 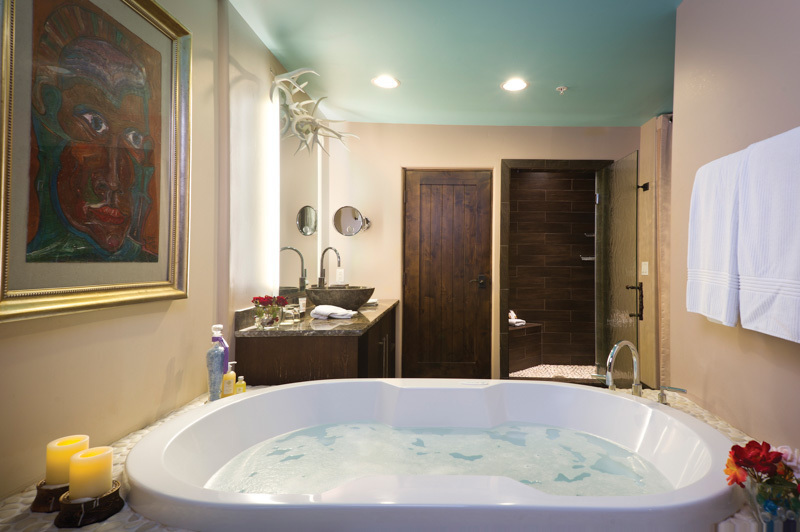 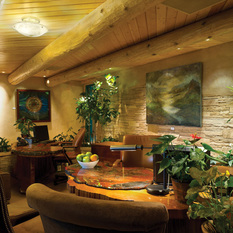 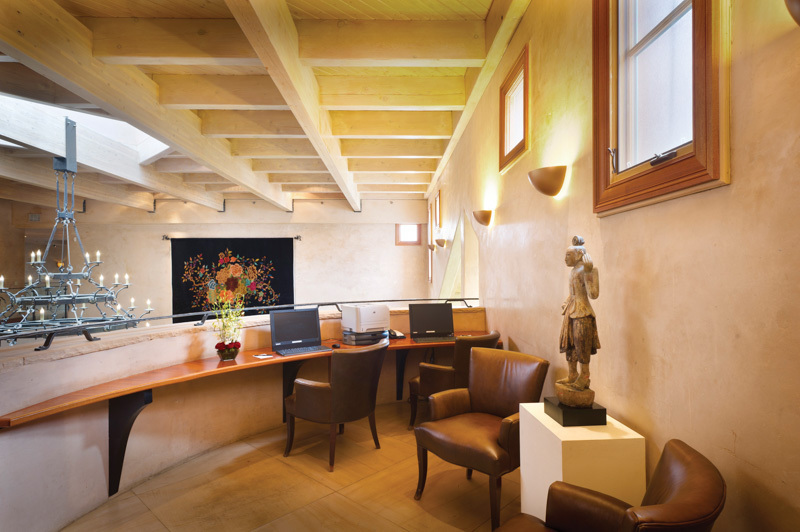 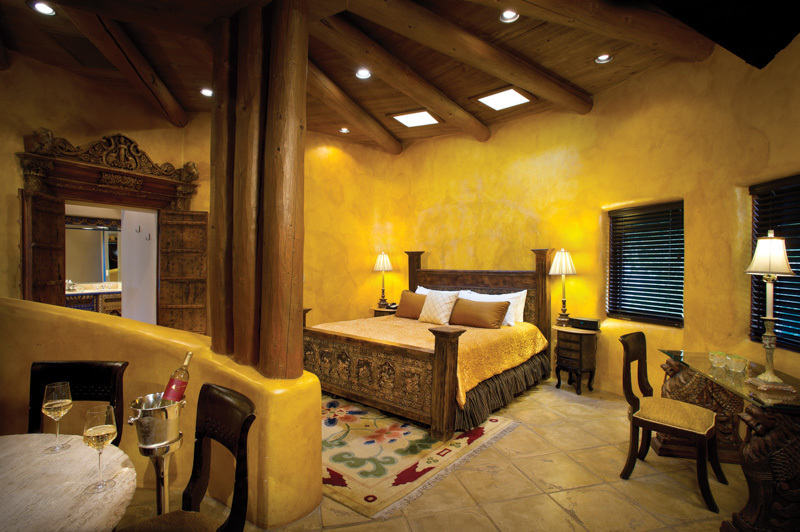 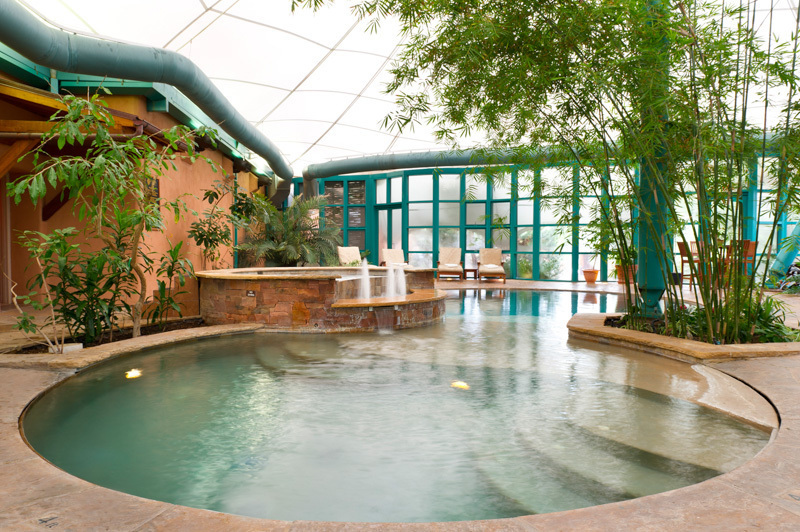 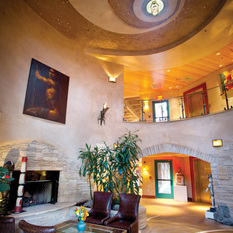 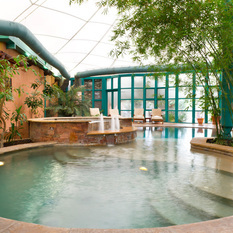 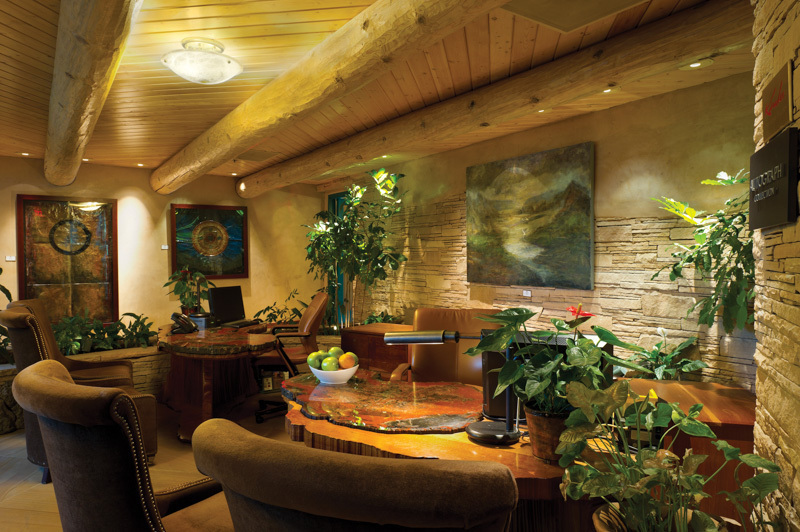 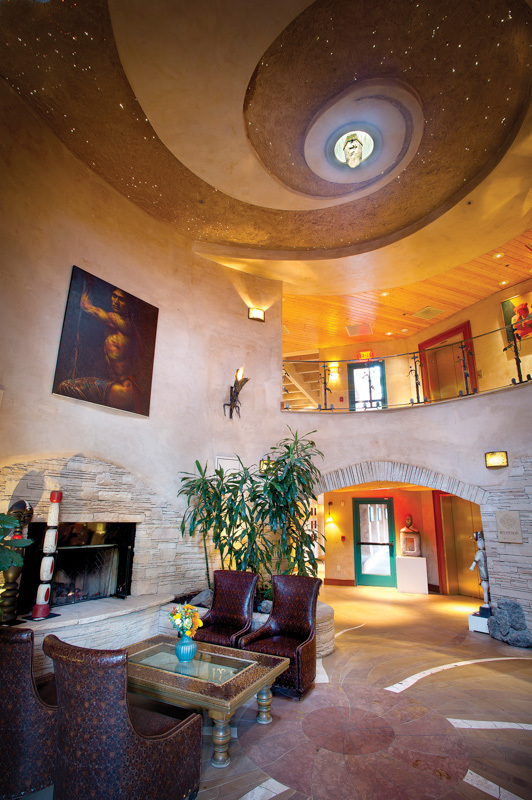 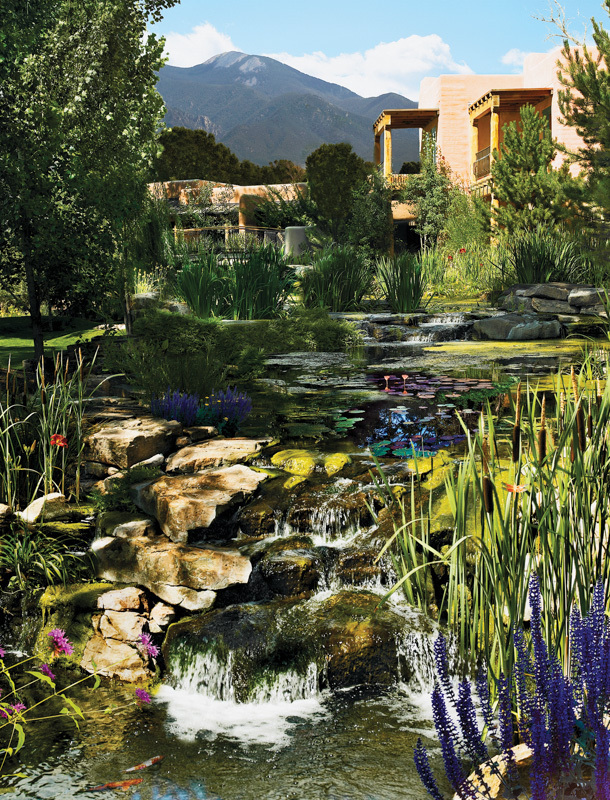 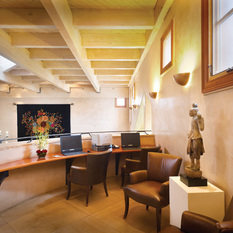 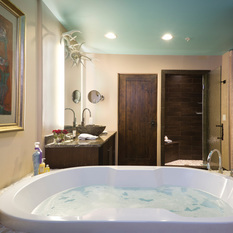 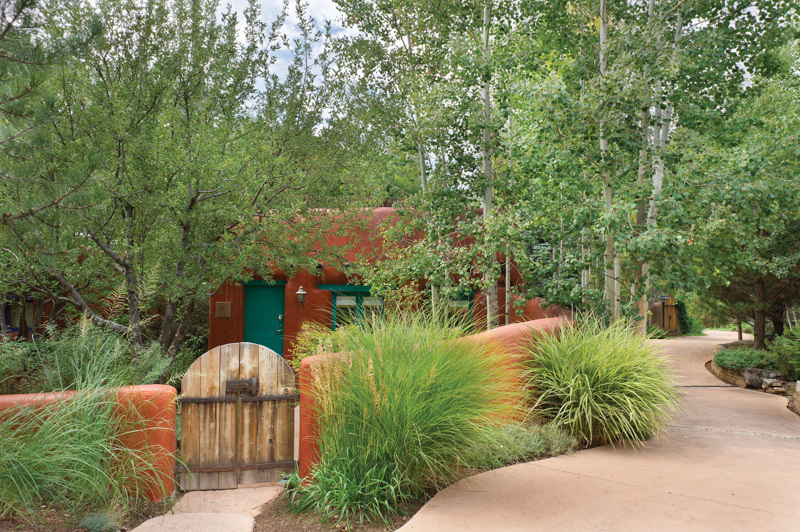 Immerse yourself in a world of serenity, wellness and life enrichment in El Monte Sagrado's award-winning Taos spa. 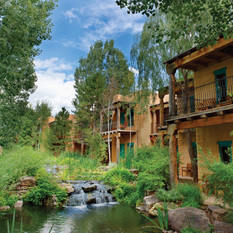 Delight in an all-encompassing, eco-friendly, romantic, revitalizing and healing retreat. 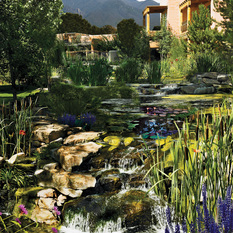 The Living Spa features artistically designed treatment rooms and beautifully landscaped grounds for meditation and relaxation. 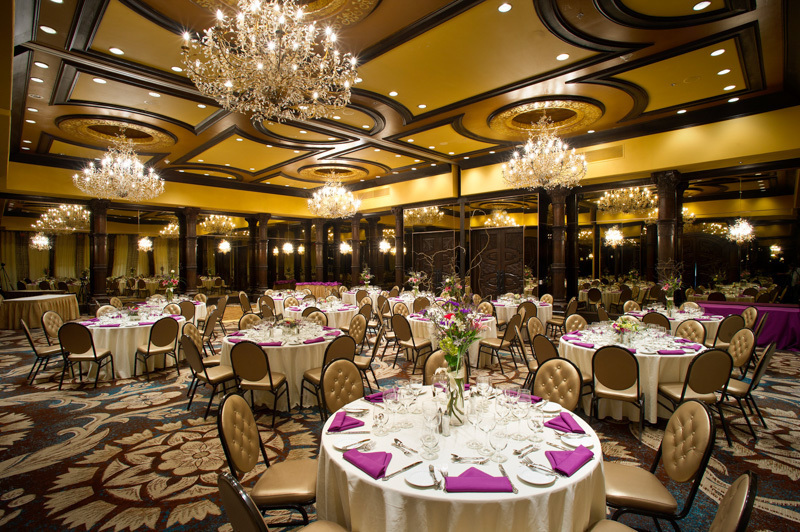 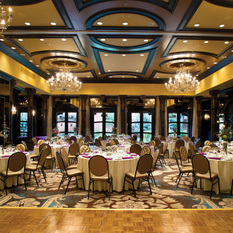 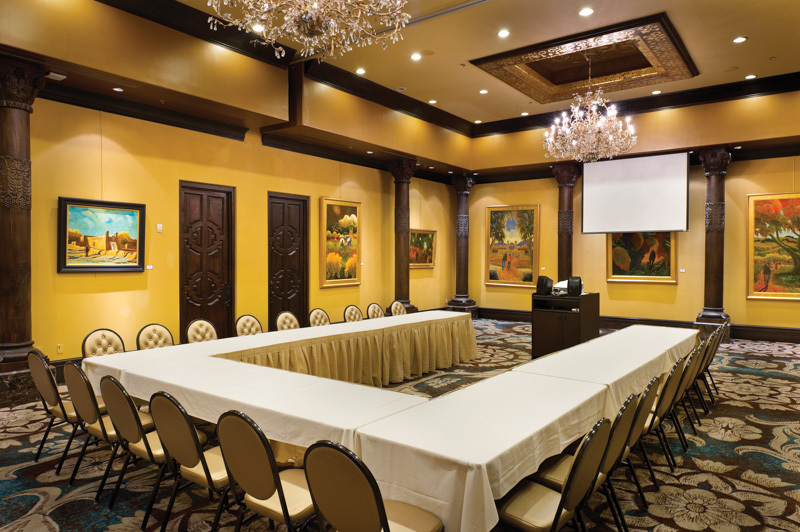 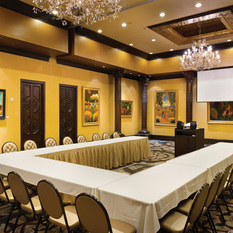 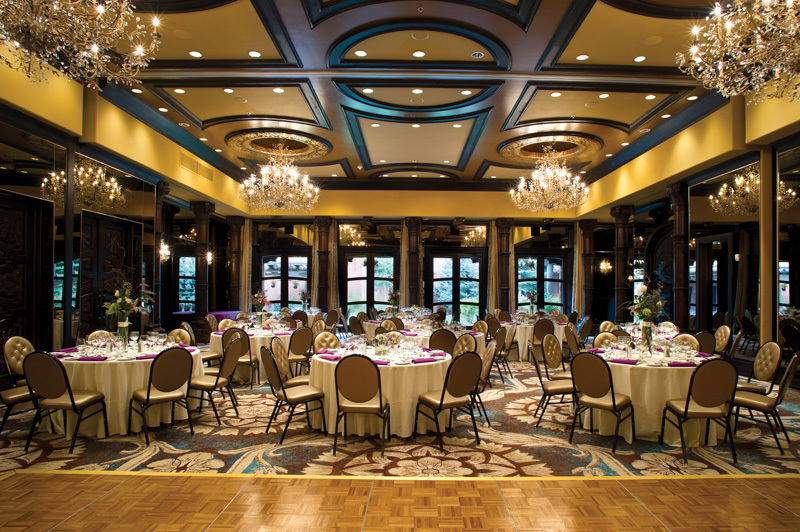 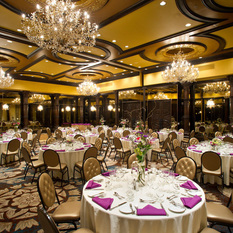 El Monte Sagrado offers 7,000 square feet of function space, including the 2,400 square foot Rio Grande Ballroom and the 1,400 square foot Sandoval Room. 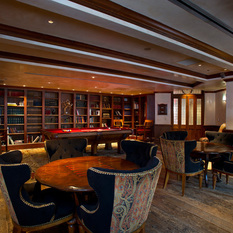 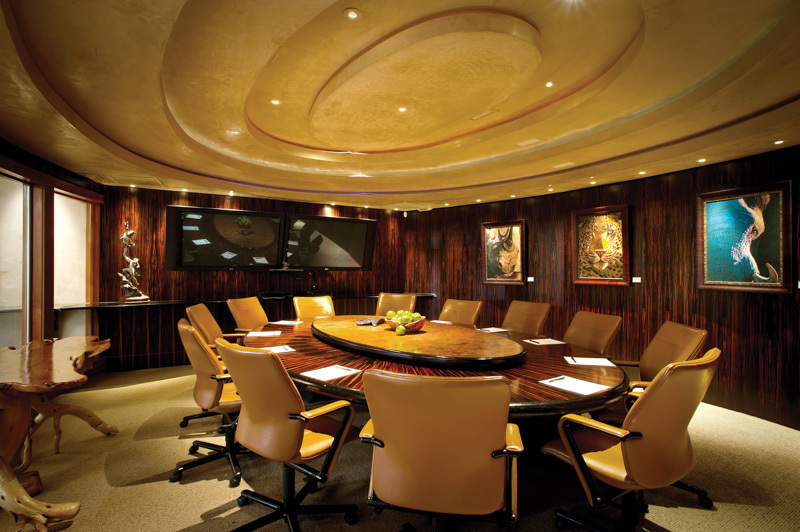 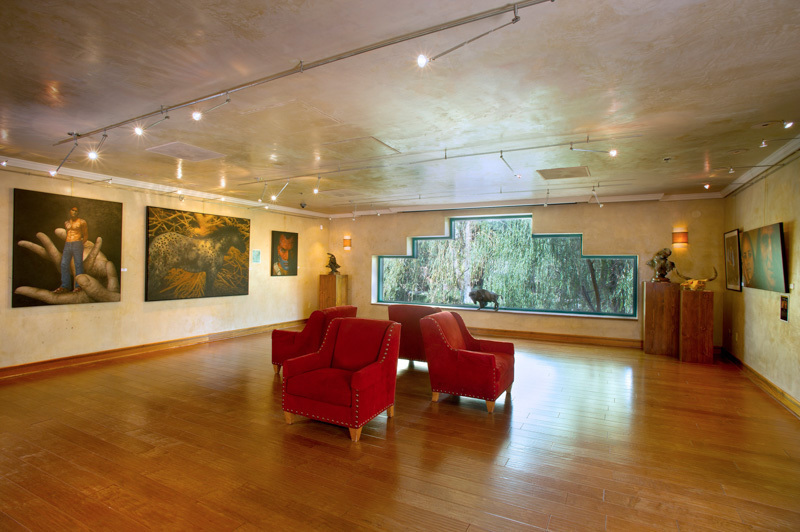 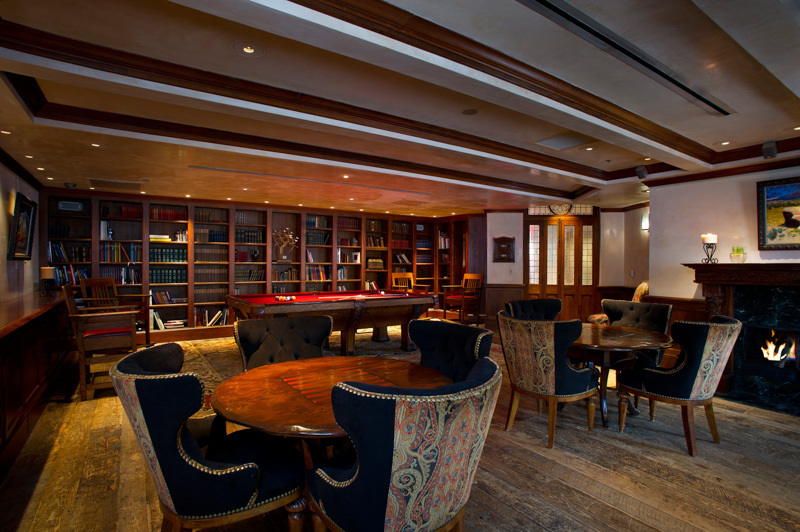 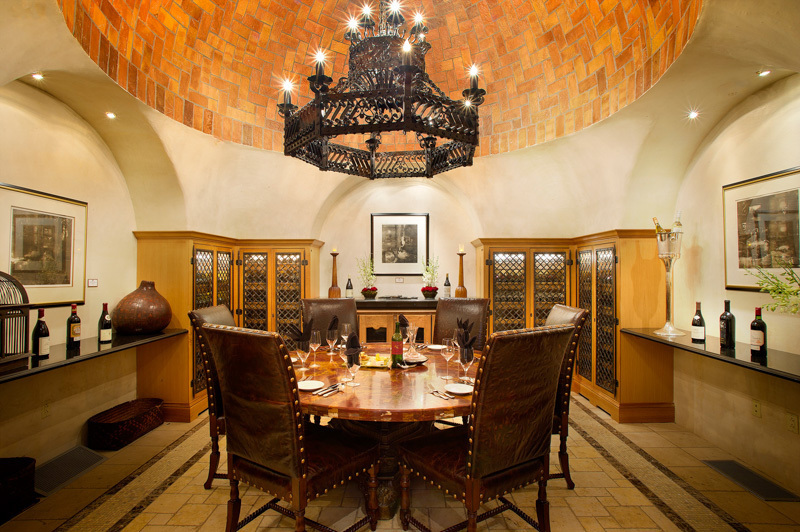 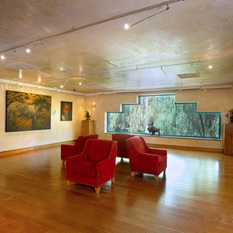 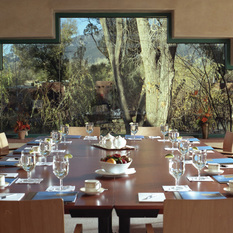 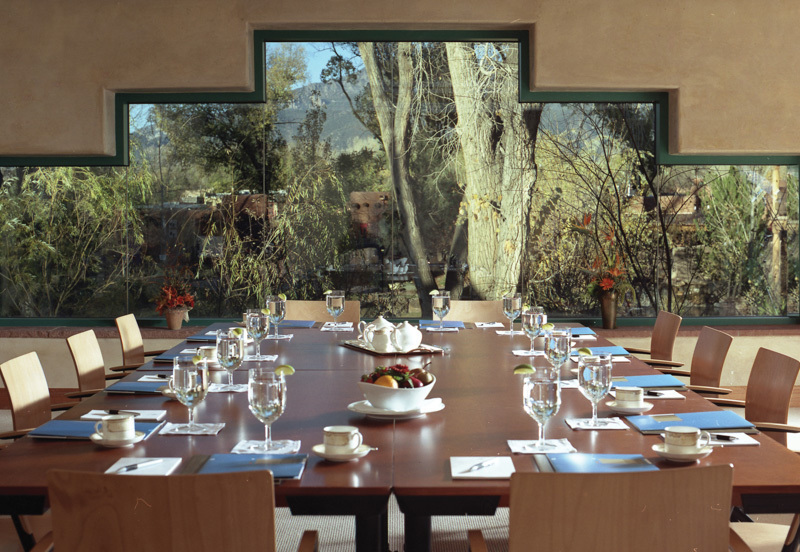 Also available are galleries, board rooms and other meeting and event spaces, all perfect for Northern New Mexico and Taos retreats, reunions, receptions, events and fundraisers. 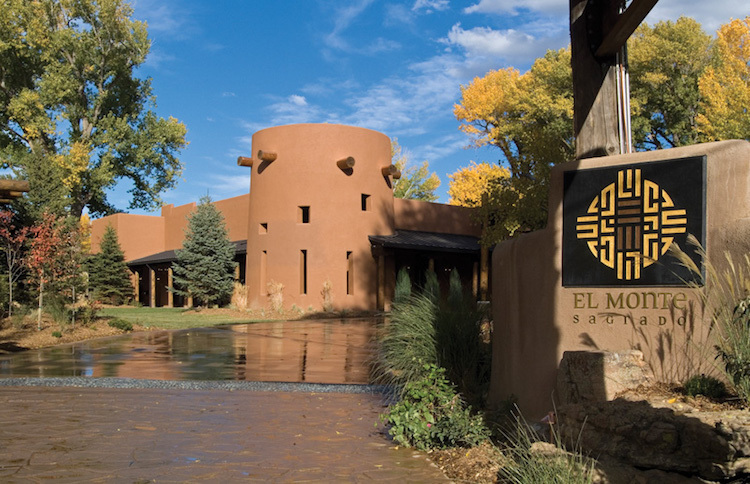 El Monte Sagrado offers unmatched Taos wedding spaces, perfect for indoor or outdoor wedding ceremonies and receptions, and made even more perfect with the backdrop of the Taos Mountain. 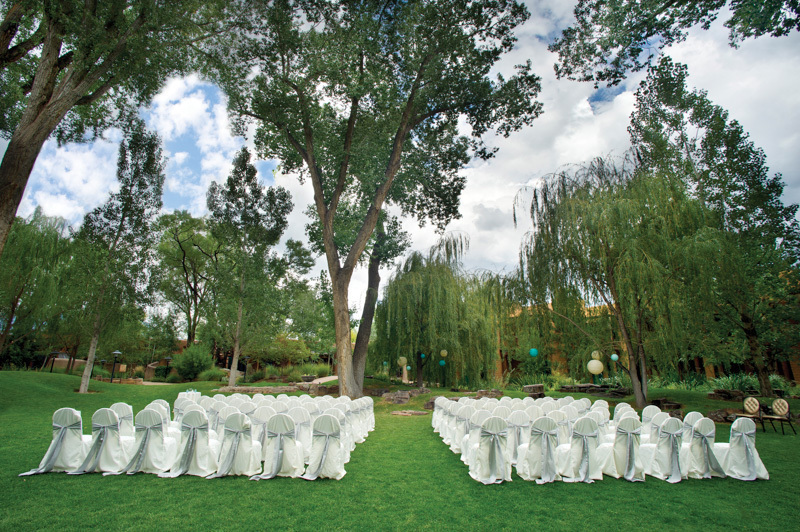 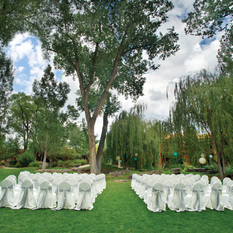 The Sacred Circle is surrounded by waterfalls, ponds and towering cottonwoods, and the Taos Mountain Lawn features a perfectly manicured lawn for ceremonies and/or receptions up to 400 people.